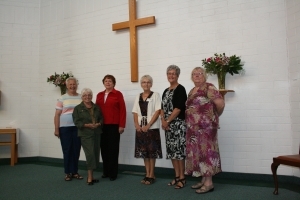 One of the unseen ministries in our church is that of the Altar Guild. This dedicated group is charged with anything and everything to do with the altar area of our church. That includes changing and cleaning the linens, putting up banners, preparing the sacraments of communion, maintaining the tabernacle (the little wall-hung box with a candle that holds reserved bread and wine), and a zillion other tiny jobs that “set the stage” for our worship services. Whenever the seasons of the church change, the altar guild is there, ensuring the place that is the focus of our attention is glowingly beautiful! 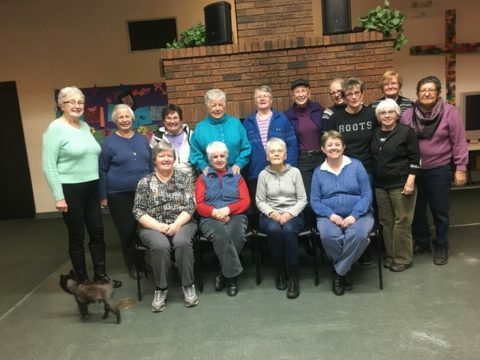 The Anglican Church Women are a very active group of committed women who serve the parish and community through fundraising, hospitality, and outreach. The ACW hosts the Spring Tea, the Christmas Bazaar, and many other events at the parish. Meetings are scheduled for 1pm on the second Wednesday of each month, in the church hall. 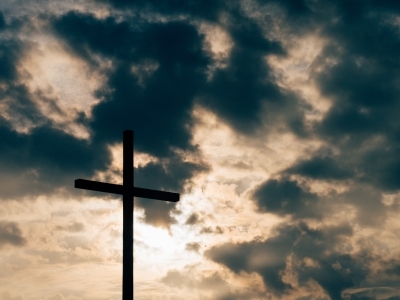 Exact dates are noted in the online church calendar. All ladies are welcome to attend and have fellowship after the meeting is finished. In addition to hosting events and donating proceeds to fund church needs, the ACW sponsors two foster children as part of its outreach efforts. Originally, our ladies sponsored children in Dr. Graham’s Homes in India a number of years ago, joining with other ACWs in our region. Then, around 2001, the St. Augustine’s ACW began to sponsor a child on its own, as well as continuing with the group sponsorship. The ACW’s current foster child is named Natasha and she is in grade six. Betty and Ciara write to her a couple of times a year, including stickers, postcards, and bookmarks with the letters. Unfortunately, mail coming from Natasha has been very slow. In 2012, her school was damaged during earthquakes and has slowly been repaired. Natasha lost her father during the time of those ‘quakes, but we’re not clear on whether they directly caused his death. The child the ACW co-sponsors with other diocesan ACWs is Anjali and she is about three or four grades ahead of Natasha. 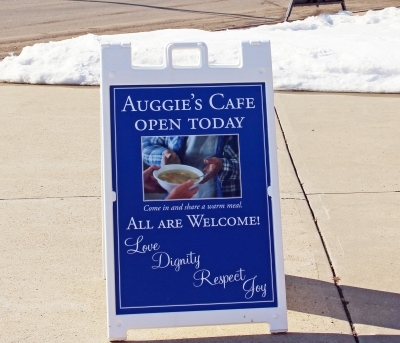 Every Tuesday from 11am until 1pm we host Auggie’s Café, a place where anyone can congregate for a hot meal and some fellowship and conversation. Totally financially self-sustaining thanks to the blessings of locally-provided donations of food and cash, each week between 50 and 100 nutritious meals are served to all who are in need. A small army of volunteers provides cooking, clean-up, and conversation that is given in the spirit of helping those in need of food and companionship. The primary contact at Auggie’s is Dianne Brown. You can reach her by email. Please consider volunteering your time or donating directly to Auggie’s Café! Are you interested in baptism for yourself or for your child? We would love to discuss that with you. The sacrament of baptism is a very special time for your family and for the church family. All Christians celebrate together and are reminded that baptism brings one into God’s eternal family for ever. If you have any questions regarding the sacrament of baptism please call the church office at 780-962-5131, or email Rev. Billy. Kids’ Church is our Sunday School children’s program that runs during our weekly morning worship. Kids aged 4-11 gather in the hall to sing songs, hear a Bible story, and have fun completing an activity or playing a game. The kids join in the worship before we receive the bread and the wine, so that families can participate in the communion part of our service together. Adventure Centre takes place during the first 45 minutes of the worship service. We have a roster of about 20 teachers and helpers, and use the Seasons of the Spirit curriculum. It’s a ton of fun, and all kids are welcome! At most every Sunday morning service, our priest takes some time to talk to the kids on the steps of the altar. There, she gives them (and the adults of the congregation) a synopsis of the day’s sermon and then sends them off to their Sunday School classes in the Parish Hall. Something that is very important to all of us at St. Augustine’s – Parkland is getting our children involved in worship services. This is not only through the annual Christmas Pageant, but also a number of other times throughout the church year. If someone close to you has died, we offer you our deepest condolences. In the midst of grieving, planning a funeral is an especially hard time for family and friends. Our ministers wish to spend time with you in preparation of the celebration of life and grieving the loss of a loved one. 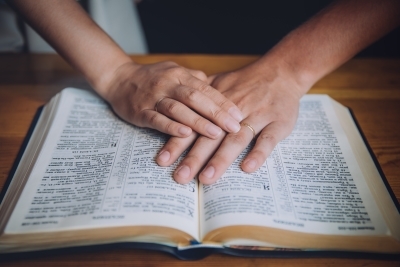 Our ministers are devoted to assisting with decisions for your loved one’s service and providing spiritual support for as long as you have need. There is no charge for funeral services at St. Augustine’s. For those who can afford it, however, we do appreciate a donation to offset our costs. A $300 tax refundable donation would be generous. To enquire about a funeral or memorial service please call Rev. Billy at 780.962.5131 or email. Weddings are a wonderful time to celebrate with family and friends and we want to assist you with that very special moment when before God and everyone present you state your love for each other. We know that you need our pastor and our facilities to be available to you throughout your planning process and especially on your wedding day. These fees include one evening rehearsal and all day access on your special day. Tax receipts will be issued for donations. Thank you so much for choosing St Augustine’s Parkland Anglican Church for the celebration of this special time. For further information on weddings at St. Augustine’s please call the church office at 780-962-5131, or email Rev. Billy. The respect you show for our facility is greatly appreciated. It is also important for you to know that facility fees paid to St. Augustine’s go back into our operations and local ministries within our community. MoSA meets on the first Saturday of each month, in the parish hall. Breakfast is typically prepared and provided by two of the members. Greg Hanna is the primary contact for MoSA. He can be reached by email. God’s gift of music is definitely alive at our church! We have a choir that regularly performs beautiful hymns and songs for us — especially during the Christmas and Easter seasons — and every Sunday morning in our church we engage everyone in at least five hymns. Having a beautiful and functional pipe organ is a definite blessing and most services begin with at least one hymn led from this amazing instrument we acquired some years ago. As our worship progresses, we move to more modern hymns and songs, led by our vibrant and energetic music worship team. NeighbourLink is a faith-based ministry provided by a network of volunteers from participating Christian churches in the tri-municipal area. This network provides a “one stop” resource centre to render assistance to people called “neighbours” who have a wide variety of needs and have no other means to get help. NeighbourLink is a “last resort” serving neighbours of any age, gender, level of income, religion, ethnicity or place of origin. NeighbourLink-Parkland does not receive any financial support from government but depends entirely on donations from the participating churches, some community service organizations, individuals, appreciative “neighbours” and an annual fund raising event. Time and Talents required to respond to the various requests for assistance are provided by the volunteers from the participating churches. Over the years, St. Augustine’s has provided annual financial support to NeighboutLink, with many of our members being neighbours, board members, or both. The central resource centre, staffed by one full time and one part time paid person, receives the requests, usually by telephone. The request is then fanned out to coordinators from each church whose responsibility is to find a suitable volunteer. An “emergency help closet” is also provided by NeighbourLink with the supplies being donated by the churches and individuals. The telephone number for the central resource centre is 780 960 9669. 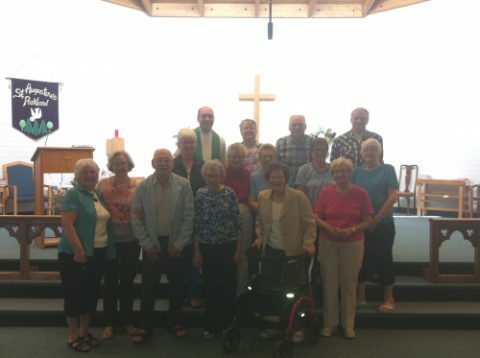 Every first and third Thursday of the month at 10am the seniors of the parish get together for a time of prayer, study, lunch, and lots and lots of laughter! Everyone is welcome, especially those 65 and older. Tara Munn is the current Youth Coordinator at St. Augustine’s.